Hygiene is the top priority in the food industry. Food must be produced and processed safely. The prevention and control of bacteria are therefore of great importance. The antimicrobial action of TroBloc® F prevents microbes, including Escherichia coli, from being able to multiply on the surface although no toxins or antibiotics are used. 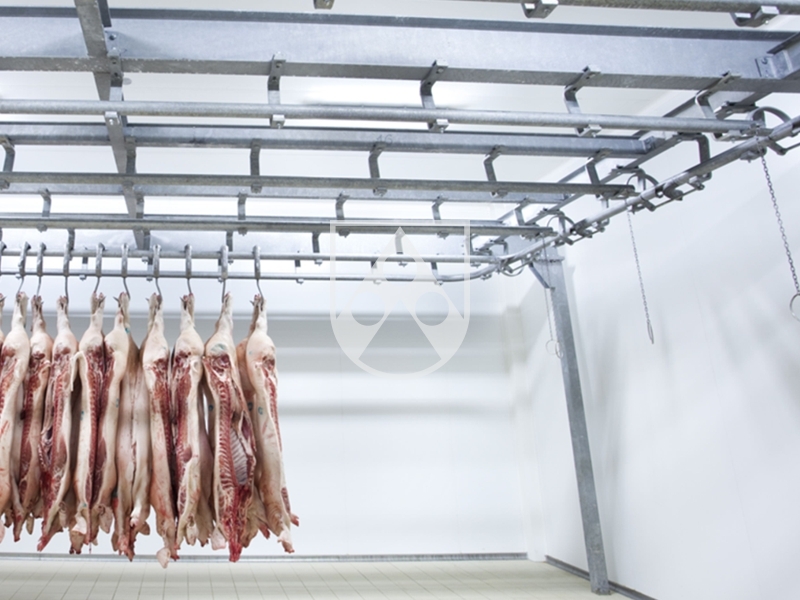 TroBloc® F therefore makes it easier to meet top hygiene standards, helping you to ensure the safe and hygienic production and processing of food. Antimicrobrial action also effective against Escherichia coli: TroBloc® F prevents microbes like bacteria and fungi, which are present on the surface, from continuing to multiply. To achieve this antimicrobial effect, TroBloc® F uses modern silver ion technology. The additive, which is non-toxic to humans, acts in a purely physical manner - through the transfer of silver ions - to prevent the growth of microbes. This action inhibits the reproduction of strains of bacteria. The bactericidal action takes effect in very little time, as has been proved and certified by the Swiss company, Ciba Spezialitätenchemie AG in Basle. It has also been proven to be effective against Escherichia coli. Shorter cleaning times: TroBloc® F has an easy-clean effect which allows even large surface areas to be cleaned quickly. The surface has a nanoscale microstructure which produces a low surface tension of <18 mN/m. This ensures that the contact area for particles and fluids is reduced to an exceptional degree. 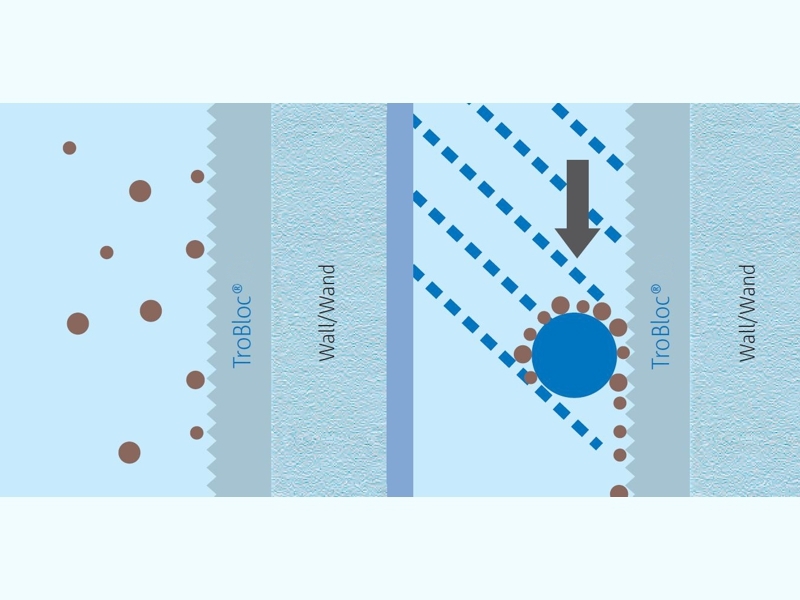 In addition, TroBloc® F is superhydrophobic: fluid runs off immediately, taking adherent substances and particles with it, due to the specially designed surface. Long service life: The surface of TroBlo® F is resistant to chemicals and extremely scratch-resistant. It can withstand regular contact with standard disinfectants and cleaning agents in the long term. This means that the TroBloc® F function is retained even after frequent cleaning. Please do not hesitate to contact us if you wish to know more about our antimicrobial wall covering TroBloc® F. Just use our contact form at the bottom of the page and write to us.